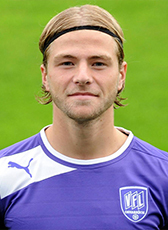 FC Twente young talented defender Thijs Bouma went abroad in August 2012. He signed a one year loan contract at Vfl Osnabrueck. At the end of the 2013-14 season, Bouma moved on a free transfer to Almere City. In the 2015-16 season, Thijs Bouma was playing at de Graafschap before retiring from professional football.